Why do higher weight folks get denied treatment for hip replacements, IVF, and even adoption? Find out the ways our culture excludes fat people even when research contradicts our approaches. 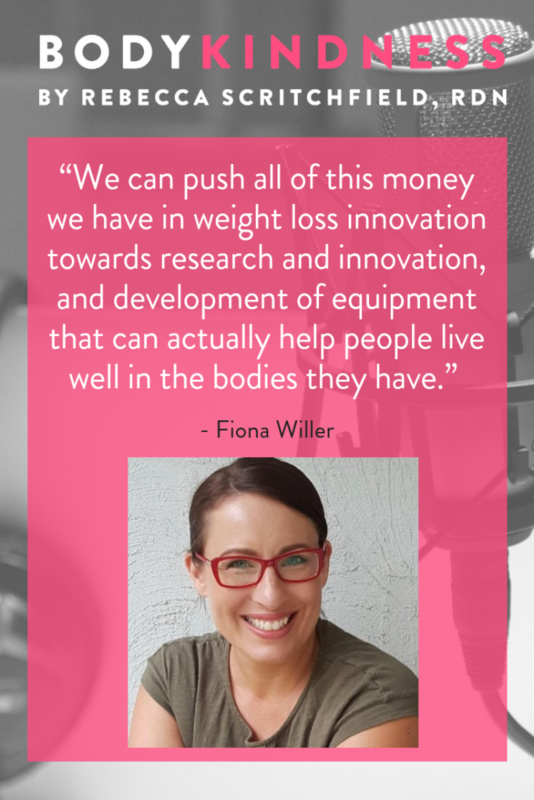 My guest is Fiona Willer, HAES dietitian, academic, educator and creator of the HealthNotDiets Digest. 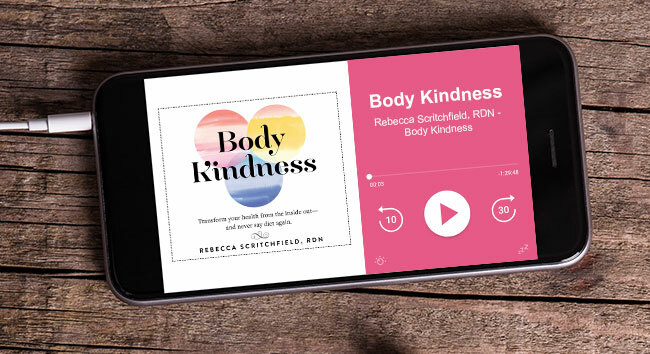 As an Advanced Accredited Practising Dietitian and university lecturer in nutrition and dietetics, she values nourishment, autonomy, authenticity and evidence based practice. Her academic research areas are dietetic private practice benchmarking, interprofessional learning and HAES integration into dietetics. A love for research and presenting has led Fiona into presenting professional development workshops for HAES integration into clinical practice since 2013. Fiona has close to a decade of academic work (unit coordination, lecturing, tutoring, marking, research assisting) under her belt and has been employed by Queensland University of Technology (QUT), Central Queensland University (CQU) and the University of the Sunshine Coast (USC). Fiona has also reviewed submissions for peer-reviewed academic journals including Appetite and Fat Studies Journal. After graduating from dietetics, Fiona initially spent three years as a clinical dietitian at The Wesley Hospital, Brisbane, working in a wide range of clinical areas in addition to coordinating and practising in The Wesley Hospital’s dietetic outpatient clinic, Dietitians Wesley. She also built a successful private practice, NutritionSense Allied Health, at Taringa in Brisbane from 2008 before selling it in 2014. Much of her private practice work was with chronic dieters with whom she frequently used the non-diet approach. 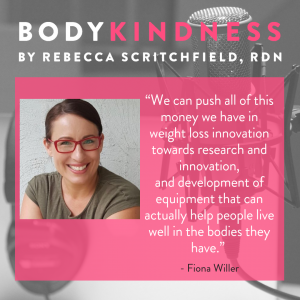 Fiona’s PhD research findings have cemented her resolve that weight neutral approaches should be part of every clinician’s skill set and her research continues to inform the professional development workshops and training she provides through Health, Not Diets. 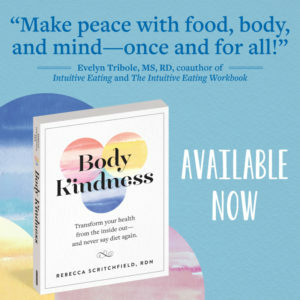 She is the author of two non-diet approach guidebooks for health professionals and developed the Non-Diet Approach Model, which operationalizes the Health at Every Size (R) principals for clinical practice. Music for this episode provided by Blue Dot Sessions.